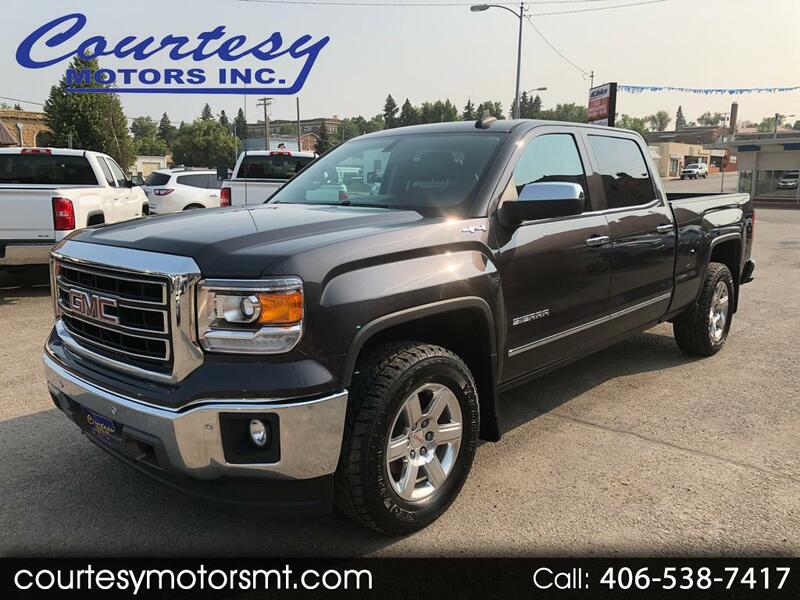 Used 2015 GMC Sierra 1500 SLT Crew Cab Short Box 4WD for Sale in Lewistown MT 59457 Courtesy Motors Inc.
Clean, One-Owner Car Fax on this beautiful 2015 GMC Sierra 1500 Crew SLT! Loaded with heated, memory leather seats, sunroof, XM Radio, On Star, Bluetooth, remote start, power sliding rear window, and so much more! The powerful 6.2L V8 still gets great mileage and all the power you need! Stop by or schedule a test drive on this 2015 GMC Sierra 1500 Crew SLT.